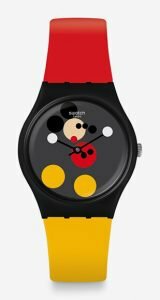 Celebrating Mickey Mouse ‘s birthday month in full swing is watch master Swatch and noted designer Damien Hirst who recently joined hands for a limited – edition MM inspired watch collection. 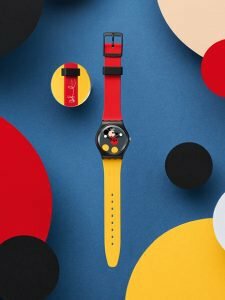 Together the duo has created two very sleek and absolutely quirky wrist watches, each paying to fitting ode to our Disney legend! 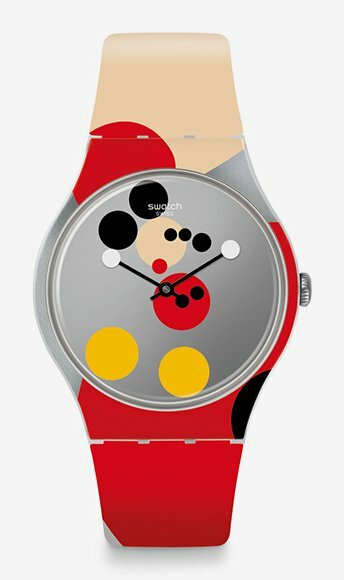 First in line is the Mirror Spot Mickey Watch (priced at $ 125) that features a rather chic plastic case, a mirrored dial, quartz movement, and a red and yellow strap with Damien Hirst’s signature on the inside. It is limited to just 19,999 pieces. Second on the list and equally enchanting at that is the Spot Mickey Watch that features a similar design with a slightly more restrained feel and a jet-black dial. The latter is restricted to 1,999 pieces and is priced at a steep $ 185. 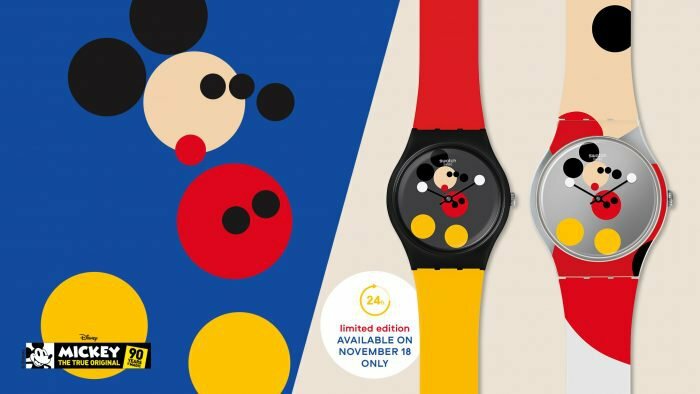 In addition to launching the exclusive Swatch X Damien Hirst watches, Disney will also host an interactive exhibition in New York City and a free art exhibition in London, to celebrate the glory of Mickey Mouse’s 90th!